All Nepal Tour is the destination tour that takes you into the world of different culture, beautiful nature and lots of adventure in Nepal. Nepal Tour provides its visitors with the opportunity to view old Temples, world heritage site, modest cultures, colorful markets in the mountains, meet the friendly locals with their ancient culture, dance and much more. 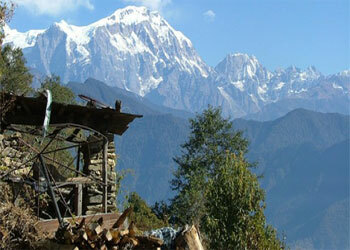 This tour is really a remarkable tour as it makes you realize the true beauty of this beautiful place Nepal. The breathtaking scenery of Annapurna Range, Pokhara and the vast fertile forest of the Chitwan makes your trip full of enjoyment. All Nepal tour can be customized as per your time availability. All Nepal Tour holds essence as pilgrimage tour also. We will visit Lumbini, the birthplace of Buddha and Visit the important archaeological site, Tilaurkot, the ancient palace of King Suddodhan (Siddhartha Gautam’s father), where the Buddha spent his formative years as a Shakya Prince. One thing is for sure, once you visit the country tour of All Nepal, you will not be able to get it out of your memory for a long time to come. Arrive at Tribhuwan International Airport, Kathmandu. Transfer to your hotel. When you have had your time to settle in and freshen up after your long fight, you will be invited to visit our office for a briefing about your program. Visit Thamel in the evening. After breakfast leave for sightseeing tour of Kathmandu valley, Visit Pashupatinath Temple ( The biggest Hindu Temple), Swyambhunath ( know as Monkey temple) Stupa of Buddha, also known as Boudhnath, the largest Stupa in Nepal. late afternoon drive to Nagarkot for overnight stay. After a beautiful sunrise and crystal clear mountain views, we return to Kathmandu. on the way can Visit Changu Narayan. Afterwards, drive to Bhaktapur. Visit Bhaktapur Durbar Square featuring the Victorian style illustrations in temple complex.Typical Nepalese dinner at a local restaurant, Thamel will be served before getting back to the hotel. After breakfast, We depart for Pokhara. After the 6 hour drive to Pokhara you will have majestic view of the glorious Manaslu peaks and the snow-capped Annapurna mountain range. 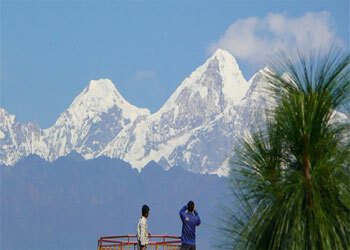 You can also see the wonderful Annapurna panorama forms a superb backdrop to Pokhara from the lake. Aside from Phewa Lake, We visit the Seti River gorge.Stay overnight at hotel. After sunrise view in early morning, a boating trip on Phewa Lake will be followed. Admire the stunning view of the Fish Tail’s Peak reflected in the silver surface of the water. 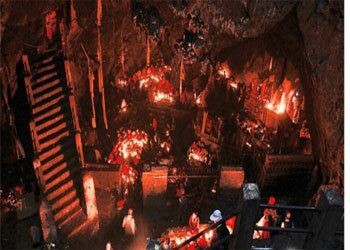 Visit limestone cave of Mahendra Gufa, used to be well-known for its stalactites. Visit place like Davi’s fall, Bat cave, Mountain Museum, Peace Pagoda. Stay overnight at hotel. After breakfast, drive to Lumbini, the birthplace of Lord Buddha and a World Heritage Site (UNESCO). Transfer to the hotel. Later walk through the Sacred Lumbini Garden where the Buddha was born. Visit the important archaeological site, Tilaurkot, the ancient palace of King Suddodha (Siddhartha Gautam’s father), where the Buddha spent his formative years as a Shakya Prince. There’s a museum nearby, The Kapilvastu Museum. 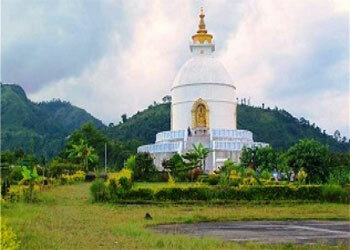 Later visit Tilaurkot the shrines, monasteries and stupa near the sacred garden. After breakfast, We travel to Chitwan National Park. There will be a short briefing on the program and our facilities. An exciting elephant ride (Jungle Safari) offered for guest to explore the jungle and wildlife at the evening. Have a Bonfire and cultural evening. Night stay in cottages. 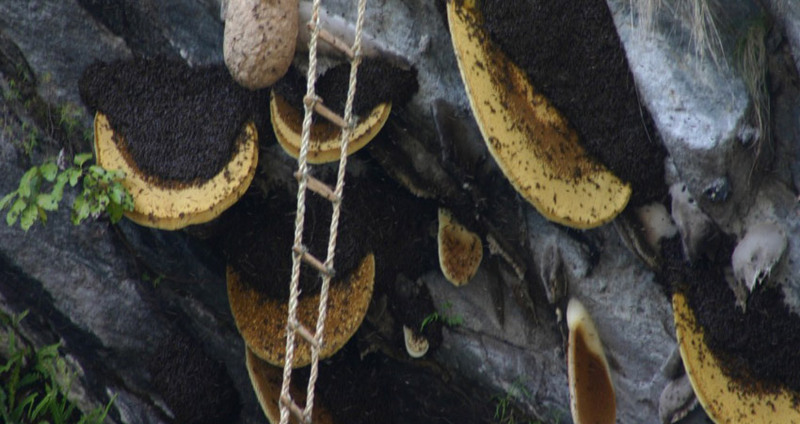 Hotel Accommodation throughout the tour including breakfast .